In 2015, Justin Brice Guariglia, a New York-based visual artist, began collaborating with NASA scientists on the polar survey flights they were conducting as part of Operation IceBridge, an endeavor that sought to image the Arctic to better understand how it was being affected by the global climate system. 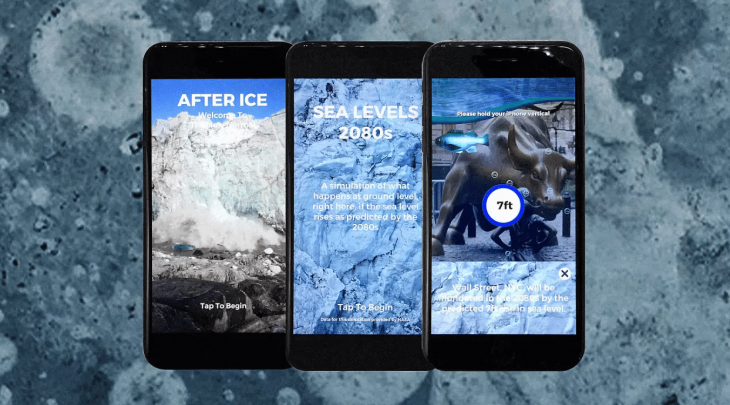 Two years later, in collaboration with the award-winning studios Strange Flavour and secondverse, Guariglia created After Ice, an augmented reality application that visualizes for users how high sea levels will rise by 2080 given their iPhone’s geolocation. The app also lets users take a selfie to capture a personalized picture of the climate change scenario of the future they have experienced. The aim of Guariglia’s project was to make climate change—a subject that often seems theoretical and remote—visceral and tangible. Released just before Earth Day on April 22, 2017, it received 13 million impressions in its first week. 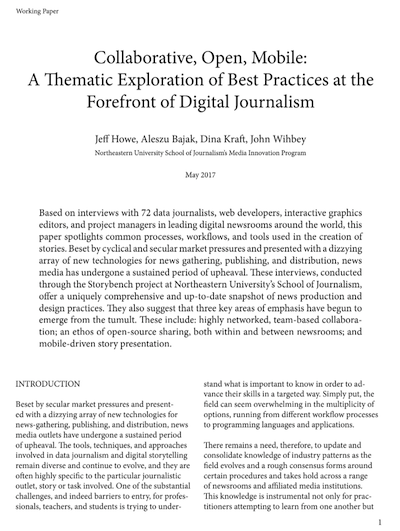 Storybench sat down with Guariglia to discuss the project. How recently did you start introducing climate change into your art? That interest came after living in Asia for several decades, inside the hyperobject of the Anthropocene. If you’re living in Europe or the Midwest, you can’t connect with the concept of the Anthropocene, that the world is changing at the hands of humans. In Asia, their exponential economic growth is this viscous soup of change — carbon, soot and coal particles in the air; your nose is running. You feel this energy, it’s all around you. You’re coming into contact with it everyday. And for me, landscapes are metaphorical, very abstract metaphors for how humans are changing the planet. There’s evidence of the impact, strong visual evidence. Most evidence is data, concrete… but this [app] allows you to move into that realm of metaphor and power. 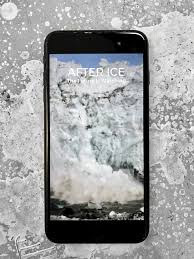 Tell me about your inspiration for After Ice. I know it had a lot to do with your frequent flying over Greenland, but tell me about the lightbulb that went off when you decided to create the app. I was flying over the ice sheets next to the scientists, seeing how the ice was transforming and changing. I was with the top glaciologists on the planet — getting amazing insight, I was lucky to have the access to such amazing people. 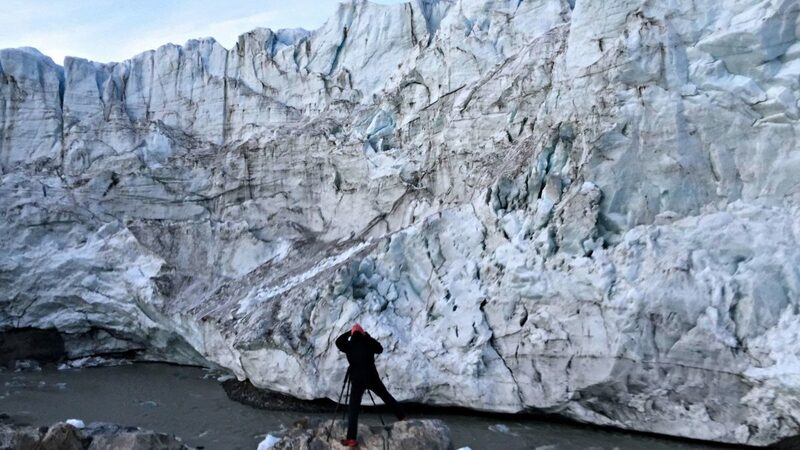 On my days off, I would go down to the terminating glaciers and watch the collapsing front of a glacier for hours, recording video, pictures, whatever. Naturally, you start to have a visceral response to all this imagery and there’s an audible component. It’s a deep sound. I ended up back in New York City, with Cynthia Rosenzweig, one of the top sea level rise experts in the world. I would have these talks with her, she’s explaining to me everything I witnessed. Scientists are in a separate discipline, they don’t really talk. All this knowledge, linking ideas, we’re missing that connection. Scientists are missing that connection. How do we get everyone together to bridge ideas that we don’t know? They’re operating on these temporal and spatial scales that humans can’t comprehend. What happens when this ice melts. What’s the impact? How do you humanize it? I’m a humanist. As an artist, my work stems from that. I was sitting down thinking, we need to be able to visualize, localize and personalize this to get people interested in ideas in a fun way to get [people] engaged and interested. Truthfully the app was done with NASA, but they asked not to be credited at the time, because of politics. Augmented reality is the medium of the future [and will be] one of the most important technologies over the next decade. It gives you the ability to operate in the now, augment your environment in real time in a way that benefits you. 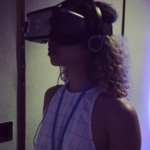 I’ve been approached to do virtual reality, but it’s a completely different medium. I don’t see it having any overlap with augmented reality in the sense that virtual reality is your own, meaning you depart this world and enter another. You’re still human in augmented reality. What’s more effective at communicating climate change – seeing the effects of climate change on an environmental scale or seeing its impact through human stories? It’s not either or, it’s both. 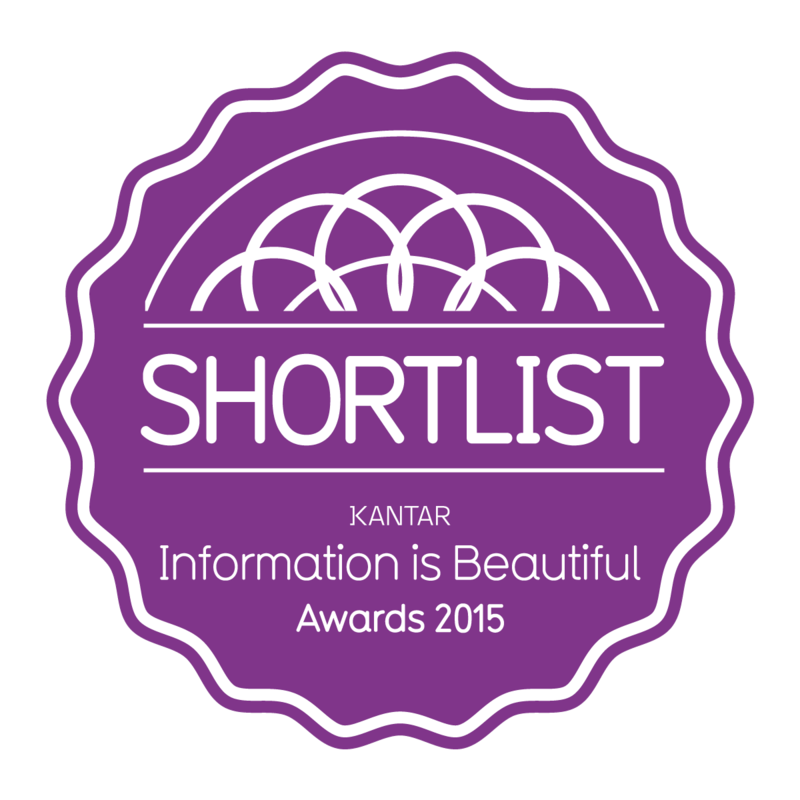 There are many different resources that we can muster to get people engaged. That may involve some sort of entertainment – people have to have some fun with it otherwise it becomes a chore. That’s why I made the app a selfie app, it personalizes it too. There’s a strong selfie culture, so people can have fun with it that way. You need to use all the resources and tools available to you always. Don’t ever limit yourself because everything has a role and place and operates in a different space. Humans are cerebral and visceral – you have to appeal to people’s minds, hearts, and animalistic sense. How have your collaborations with scientists and artists helped you better tell the story of climate change? I think it’s important in this day and age and time because I feel very strongly about the role that capitalism plays. The Anthropocene is not anthropocentric. It’s not pro-human because we’re impacting and changing the planet in ways that are detrimental to humanity. Capitalism, unfettered, is running amok and really putting us as a civilization in a grave position. The people who are on the forefront of understanding that are the scientists. But the problem is that the scientists are focusing on data. They’re reductionist, trying to reduce things down to their parts. [They’re] constantly trying to figure out how they work, function, etc. When you start reducing complex ideas down to their parts, you’re moving away from a place where humans can access and get some value from them. Scientists are creating a cognitive knowledge. But great art has no cognitive knowledge or cognitive value because it’s going from parts to effects. You’re either talking about effects or parts, undermining and over-mining it. Great art functions in a way that operates between those two things. Do you think artists have a responsibility to use their voice to speak more about climate change? I can’t speak for other artists, but I think it’s incredibly important that artists that do have a voice should be addressing these type of issues because they’re needed now more than ever. The role of artists today is so important in terms of communicating these ideas and getting them out. Journalism is consumed. Photographs are consumed and effectively normalized. Good art you can’t normalize and that’s why it’s so important and we need artists to get engaged with these meta-existential issues, and make these ideas felt. We’re so disconnected from these things that there’s no real impact. Art can make you feel something. 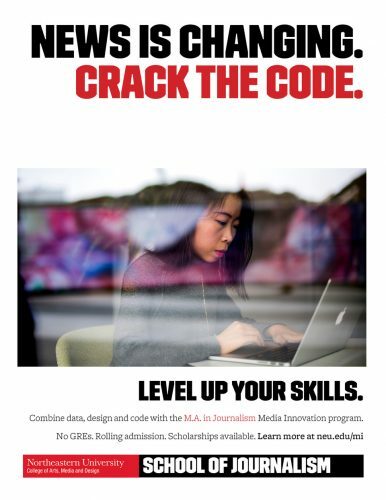 Sophia is a graduate student in the Media Innovation program at Northeastern University’s School of Journalism. Last summer she was a film development fellow at RYOT.